Lawyers for some of the families of Sandy Hook victims went before the State Supreme Court on Tuesday to ask to have a lawsuit reinstated against Remington Arms, the gunmaker of the AR-15 used in the massacre. The ads leap out from the pages of almost any gun magazine: Soldiers wearing greasepaint and camouflage wield military-style rifles depicted as essential to the American way of life. A promotional spot by the Mossberg brand boasts of weapons "engineered to the specs of freedom and independence." The ad campaigns by major gun makers did not pause after mass shootings at a Las Vegas country music concert and a Texas church, and the slick messages are big drivers of sales ahead of Black Friday, by far the heaviest shopping day each year for firearms. But the marketing tactics for the semi-automatic weapons known as AR rifles are under new scrutiny following the recent attacks. Gun-control activists say the ads risk inspiring the next shooter, while gun-rights advocates insist the weapons are being blamed for the works of deranged individuals. "Guns are not sold on the basis of being just tools," said gun industry expert Adam Winkler, a professor at the University of California Los Angeles School of Law and author of a book about the Second Amendment. "They're being sold as an embodiment of American values." The advertisements have become a focal point in the court case against a gun company over the 2012 massacre at a Connecticut elementary school where gunman Adam Lanza used a Bushmaster AR-15-style rifle to kill 20 children and six adults. Bushmaster has advertised its AR weapons with the slogan "consider your man card reissued." 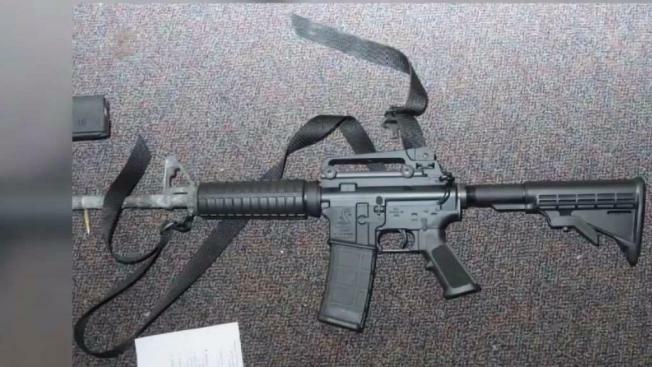 Relatives of the Sandy Hook victims alleged in a lawsuit that the maker of the Bushmaster was negligent by marketing military-style weapons to young people who may be unstable and intent on inflicting mass casualties. The lawsuit against Remington Arms was dismissed because of broad immunity granted to the gun industry, but the Connecticut Supreme Court is weighing whether to reinstate it. "They used images of soldiers in combat. They used slogans invoking battle and high-pressure missions," Joshua Koskoff, a lawyer for the families, told justices at a hearing. "Remington may never have known Adam Lanza, but they had been courting him for years." Most mass shootings — defined by federal authorities as involving four or more deaths outside the home — are carried out with handguns. But this year, gunmen have used AR-style firearms in mass shootings in Las Vegas, Texas and Northern California. 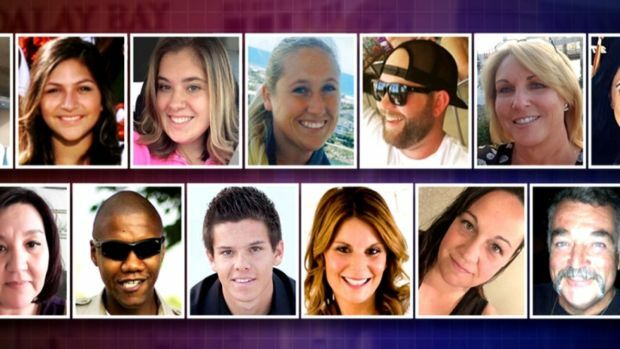 They were also used in the 2016 Orlando nightclub shooting and in 2015 in San Bernardino, California. The rifles are involved in only a small percentage of gun deaths each year. Of the approximately 13,000 gun deaths excluding suicides that happen annually in the United States, about 300 involve the use of rifles — both AR-style and more traditional long guns. To Erich Pratt, executive director of Gun Owners of America, gun-control advocates focus on vilifying the weapon and not the people behind the crimes. And, he notes, the gunman in Texas who killed more than two dozen churchgoers was pursued by a man nearby who shot at him with his own AR rifle. 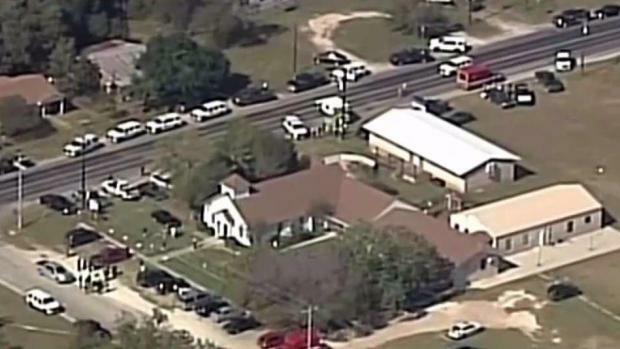 At least five people, including the alleged gunman, have been killed following a shooting spree in Northern California that ended near an elementary school. Two children were wounded and have been transported to local area hospitals. "Here's another attempt to demonize a weapon that a lot of Americans look to for self-defensive purposes," Pratt said. Yet it was another man with an AR-15 who is "the one who's hailed for having stopped the guy." An estimated 8 million AR-style guns have been sold since they were introduced to the public in the 1960s. The name refers to ArmaLite Rifle, a nod to the now-defunct company that designed the first one. The industry calls them "modern sporting rifles" or "tactical rifles." About half are owned by current or former members of the military or law enforcement, according to the National Shooting Sports Foundation, which represents gun makers. Their marketing, coupled with the lifting of a decade-long ban and the return of many veterans who used them on deployments, have helped drive their popularity. Gun sales leveled off this past year after nearly a decade of record-breaking numbers, but the industry is banking on the allure of the AR — and its many accessories — to keep it going. The weapons are known as easy to use, easy to clean and easy to modify with a variety of scopes, stocks and rails. Accordingly, a Sig Sauer ad plays up the ability to customize its AR-style weapons, showing an image of soldiers holed up in a building in the midst of battle. "The reason these guns have become so popular is because they're like an iPhone 10," Winkler said. "They're smooth, sleek, cool-looking." Once the domain of smaller gun dealers, the weapons are now widely sold by huge retailers such as Wal-Mart, Cabela's and Bass Pro Shops. Those companies are also selling more weapons to first-time gun buyers, said Rommel Dionisio, who has watched the industry closely as a financial analyst and managing director of Aegis Capital Corp. Sales of military-style rifles plummeted in 2017 compared with a year earlier, when people were stocking up amid fears that a Hillary Clinton presidency would lead to stricter gun laws. Donald Trump's surprise election victory erased those fears but left the gun industry with an oversupply and weak demand. American Outdoor Brands, which includes Smith & Wesson firearms, reported in September that quarterly revenue in its long guns category dropped by 64 percent from the prior year due to lower demand for its modern sporting rifles. The company reported shipping 51,000 long guns in that period compared with 111,000 the prior year. Against that backdrop, many gun companies have cut prices, offered rebates and slowed their manufacturing. Some makers of AR-15 rifles dropped prices earlier this year to as low as $399 — a level that would have been unheard of a year before. "It really is a buyer's market out there right now," Sturm, Ruger & Company Inc. CEO Christopher Killoy told analysts on a recent conference call. Those deals come with a steady dose of ads that highlight the patriotic notions of carrying an AR. "That's what they're emphasizing, that these are sort of a lifestyle weapon," Winkler said. "This is a weapon you buy if you're a patriotic guy who loves the idea of those military shooters, someone who would use your guns to defend your nation." Pane reported from Atlanta. Foley reported from Iowa City, Iowa.